5 things @ 5am – The 21-day challenge! Hooray! Today is day 21 and marks the completion of my 3-week challenge during which time I have embraced the concept of waking up at 5am in order to help achieve my goals. And all done within the quietest hours of the day. According to Ayurvedic practice – this is also the most auspicious time of the day (4am-6am approximately). This time is called Brahma Muhurta. The Benefits of Waking up at 5am? Following Ayuvedic teaching, 5am is the most auspicious and spiritual time of the day. Activities of the outside world have not yet begun. Therefore, making this time a more peaceful and high vibrational time. Waking up at 5am has been associated with health benefits and professional success. It’s a quiet and therefore productive time of the day when others (and thankfully my children) are in bed. It gives me a 2-hour head start to achieving my daily goals. 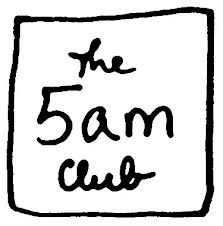 What are the 5 Things I Want to Achieve at 5am? 1. Mindful Breathing – deep breathing helps to cleanse the respiratory system, blood and increases oxygenation. 2. Spiritual practice/mediation – there is now very clear research which illustrates neurological changes through regular practice of meditation and mindfulness. 3. Read something positive to promote high vibration, wisdom, and personal growth – the idea being it will help to get my mind in the desired state for the rest of the day. Why Set a 21-day Challenge? Make a list of why you want to be an extra early riser. What will it mean for you if you wake up at 5am? My reasons are mine and may not motivate you at all. If your why isn’t strong enough you are more likely to cave in at the first hurdle. It’s Ok not to have any reasons here too. It could just mean that waking up at 5am isn’t for you – right now. Make it easy as possible to start your morning routine. For example, have your clothes laid out, have your food prepared, even having a cup out and kettle filled with water can save you time and thinking energy in the morning. Being forced to make too many decisions early on in the day has been linked to decision fatigue (no really, it’s a thing!). Get to bed Early! Its difficult to get up early in the morning if you have not got to bed at a decent hour. I always aimed for 9.30/10pm but it did creep up to 11pm on a couple of nights. Getting in to a good bedtime routine can also really help with the quality of sleep you get. I used these amazing bath salts to help detox and sooth the body before bed. Diffusing essential oils such as lavender can also be very soothing and aid deep relaxation. I also aimed to turn my phone and TV off 30-60 minutes before bedtime. Waking up at any time, never mind 5am, to a loud BEEP-BEEP-BEEP from your mobile phone isn’t a pleasant way to wake up. So, I decided to invest in a Lumie alarm clock which has a sunset and sunrise function to help gently and naturally wake you by giving the illusion of the rising sun. It also has 2 aromatherapy chambers which can be filled with energising oil blends for the morning (I used citrus based ones) and more calming ones in the evening (I love frankincense and vetiver). This was a bit of an indulgence for me. But I have to say its been a huge factor in making my early rising a success. Its ok to find it challenging to start with. Don’t take that as a sign that you can’t do it. Having a clear vision of your goals and where you want to go will help you to ignore the distraction, that we all have at some point, that tells us that its too hard or that we can’t do it. If you want it. Do it. Don’t over think it. Will I Continue to Wake at 5am? This is a no brainer for me. Yes yes yes! Waking up at 5am has seriously changed a lot of things for me. I now get the bulk of the things that I want to get done for me done (and that’s before the kids wake up!). What does that mean? I am a calmer and happier mummy. I have even been the FIRST mummy at the school gate. I am still working on getting to bed at the desired time. This would ideally be 9pm for me allowing time to read etc before drifting off to sleep. A change I would make however, is that I would lie in until 6am over the weekend! This would allow for more flexibility when socialising.